The requirement for time management skills isn’t just a trend seen in clients’ job posts. Those are skills of crucial importance for everyone, especially the freelancer, to organize their work process and to complete projects with quality in the agreed timeframe. 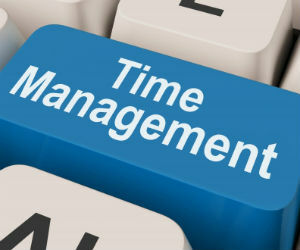 Here are 6 time management tips which you can start using right away to improve your time management and productivity immediately. My first time management tip would be to plan your tasks for the week. And when I say “plan” I don’t mean think about it and have an idea about what is it that you need to do the next few days. Monday morning (or better yet, Friday afternoon, right before you close the shop for the week) write down all the tasks you have to do the next week – per day, even per hour if you can. You can plan your week using pen and paper, time planner of some kind, Google calendar (that’s what I use, always), outlook calendar or any type of application, program or platform to your liking. Write them down – this is key. Only if written down, you will have exact idea at a glance what you have to do when – and you will be able to focus on following the plan and implementing the tasks. If you have a time buffer, you will be able to do a last-minute rush job for a regular client; or you will manage to do a couple more edits of that monthly newsletter because the client remembered there was a webinar announcement they wanted to include; or you will be able to hand your work in time despite the fact that the research needed was a few hours longer than anticipated. Never fill in your working hours to 100% so that you are flexible at all times. Check your email once or twice per day, not more. Often people get addicted to their emails and hit the refresh button constantly – on the laptop, on the cell while waiting in line, while having coffee at the local café, before lunch, during lunch, after lunch…. I know, I’ve been there! There is nothing you’d get via email that couldn’t wait for a few hours. Build a habit to check your email once or twice per day. I do it in the morning and in the afternoon but you should find your best time to do that. Let me elaborate. All other emails are waiting for my afternoon email checkup. There are exceptions of course. Some days I am involved in heavy email back and forth correspondence. In those days I check my email way more often than twice per day – and it shows as my productivity falls immensely. That’s why I am always trying to move my client communications to a project management platform. If you want to improve your time management skills, turn off your chat programs. Skype, Yahoo messenger, MSN, Google Talk or whatever else instant messaging program you use – they are all a huge distraction. Hey, you, how are you? I am fine, and you? I am great, big news – have to see you! Want to have coffee tomorrow? Sure, 10 am at the coffee shop on 5th? Great, can’t wait – see you then! You have been waiting and searching for your inspiration for hours. At last it came – only to leave in the middle of your first sentence, when the next instant message comes in and you are too curious not to look. So, while doing some creative work, better turn off your communication channels with the rest of the world. If you think you’d need Skype for a quick work related question at some point, at least put up that ‘Do not disturb’ message so other people won’t distract you. Don’t spend too much time on your personal profiles on social media. Social media is a time-wasting machine. Don’t log in to your Facebook profile every 5 minutes. If something important happens, I bet you will hear about it on the phone anyway. Break the bad habit of procrastination. I have noticed it is a common habit for the 9-to-5 employee to leave their work for tomorrow. Something like why-I-should-do-this-today-if-I-can-do-it-tomorrow mentality. Freelancers are not employees. We don’t have a boss who cares mostly about punch-in and punch-out times. We don’t have a supervisor who thinks time spent in the office equals completed work. We have clients who care about the completed work indeed – its quality and turn around time is way more important than the time of day it got done. Unless you are sick or totally lack focus or inspiration, do not leave your work for tomorrow if you can do it today. Back to you – what time management tips do you have to share? ​► "Diana's Ideal Prospective Client Checklist"
5 Tips to Effective Communication with Freelance Clients How to Use Google Calendar for Better Time Management How to Make Time for Everything Being a Freelancer – Is It Hard? I'm a freelance marketing consultant by day and a traveler by heart. 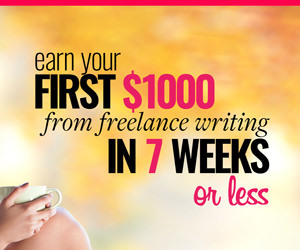 ツ I help fellow freelancers and small business owners achieve their goals within budget. Stay updated and get a free ebook - join here! These are excellent tips and quite timely given the holidays! Let’s face it, duty AND fun abound and it is so easy to get pulled away. I have to day that key for me as a writer is to sit down in the morning and NOT go near my email until noon or after. That’s a rabbit hole, for me! Wonderful post!!! I get my work via email – so I do need to check it often. I sort of have a pattern – I do social media early morning and late in the day. I do work in the middle of the day. And I am working at taking more breaks – a walk is the best. Hardest part for me is procrastinating on certain projects that will help my business grow. I’m working on trying to make that piece more pleasant. So my issue is not time management as much as overcoming emotional obstacles. I was speaking with a terrific productivity expert about managing my time and she had the same advice you offer here, I particularly like the idea of buffering your time. She also suggested that I look at including several 15 minute jobs in my day as opposed to big blocks. I have many unavoidable interruptions in my day and by breaking my time down to small bits, I actually get things accomplished. I have heard that about 15 min. blocks to get a quick job before next distraction kicks in – have tried it but doesn’t really work for me as once i dive in, you couldn’t move me even if a bomb exploded in my living room LOL. But yes, i can see how this tactic would be very helpful to others – thanks for adding it to the post, Debra! Diana-You have wonderful points here however the email I can’t shut off. This is the way my office communicates with me. I would add something to management skills is to take at 10 minutes every hour and get up and move around. When you come back you feel refreshed and can get back to the tasks at hand instead of staring at the computer trying to figure out what you need to do next. nailed it! 10 min. break every hour is super important. I have heard people make an alarm go off to remind them. I am so used to it that approximately every 50-60 minutes i do get up and walk around simply because i cannot sit any more – it’s turn into a reflex. Super useful tip – thanks for adding to the conversation, Arleen! 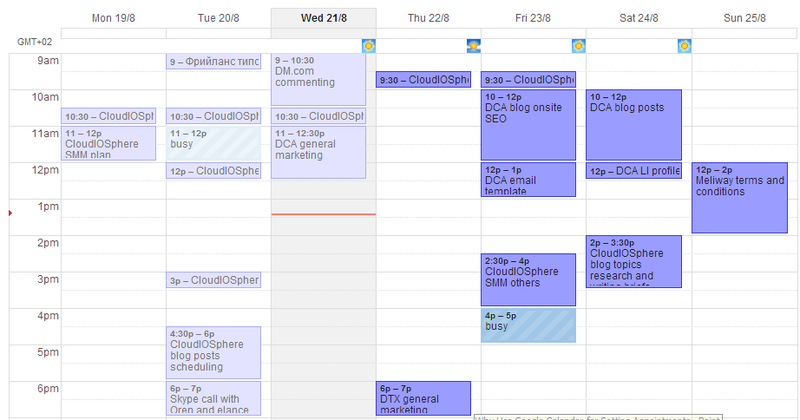 Time management is something I’m working on. I’ve realized I do fine when I have other people depending on me to complete work. I’m more apt to that first and then my creative writing goes on the wayside. I need to make my writing more of a priority or my novel is never going to be finished. I love #2. That’s one I need to remember. I always give myself too much to do and not enough time, so I end up staying up working later than I’d like. I should be more realistic about how long things will take me. Another thing I do to stay on track is I set alarms on my phone when it’s almost time to change tasks, that way I have a few minutes to hurry up and wrap up what I’m doing (if at all possible) and move on to the next task of the day. Time management, ironically, is the topic of my latest guest post, and the tips you offer here are great, Diana. Good read, Diana. I don’t chat, as it takes away from my schedule. I do FB at night, before retiring for the day. I check my e-mails twice a day, as I am working on a film project, and need to be updated. I blog whenever the opportunity presents itself. Thank you for reminding us, as to why time management is so important. Blessings. Time management is one thing that I am missing. I have day job, have family members with whom I need to spend time. Along with these I have blogging to do and connecting withe fellow bloggers. I used to keep the chat programs Off all the time. I have to plan. thanks for the very nice tips. These are great tips Diana. I wish I could only check my email a couple of times a day but like Leora, I work with clients and I need to check that email account throughout the day in case someone needs me for something. I do have separate email accounts for personal email and one that I use for less urgent needs. Since I use Outlook, I can (and do) check those two accounts less frequently. You are so right about social media being a huge time waster! I don’t check my accounts often but I do keep Buffer so that I can schedule my shares throughout the day. Thanks for stopping by, Sherryl! Timely advice. One trick I use to manage my time is to leave 15 minutes on my calendar in the morning and 15 minutes in the afternoon as “unscheduled.” If I am on schedule, I can use that time to catch up on reading (for fun or work), make calls, play a game or go for a walk – I prefer a walk. If I am running behind, then the time goes towards my work. Scheduling a little me time is a reward system that keeps me motivated. The breaks allow me to breath easy and let go of “deadline stress” for a bit. I always depend upon my own capabilities. I avoid delay and start my project forthwith. I make a time table and break my project down into smaller parts so that each part should be completed according to the time table. I also use dead line cushion and complete my project before the time is over. Also, I consider the importance of task. However, your tips are worth appreciating and practical. It looks like you have great time management skills, Muhammad, kudos to you! 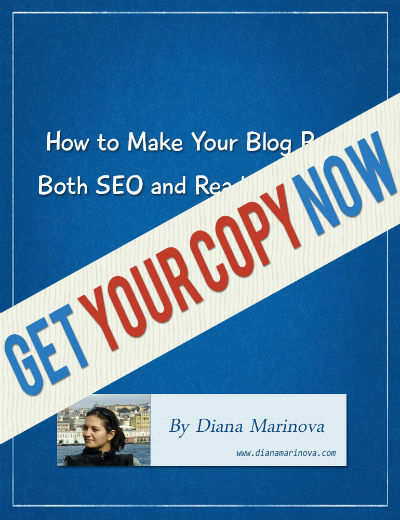 Make your blog posts both search-engine and readers friendly PLUS get access to other goodies! Check my services page and complete the form there if you want to hire me. Use the contact form on my contact page to get in touch for anything else. And be sure to connect on social media! Awesome, send me freebies and updates!